It’s an absolutely perfect morning for a cigar and a coffee. This cigar has a dark and somewhat rustic wrapper. The aromas from the foot are earthy and cocoa-like, while the cold draw is perfect. My accompanying morning beverage is a Chameleon Cold Brew. The initial flavors are peppery and meaty, and there’s lots of smooth smoke to add to the pleasure. The solid ash is a medium grey in tone, and the burn is even except for one place where I’ve scorched the wrapper when lighting the cigar. 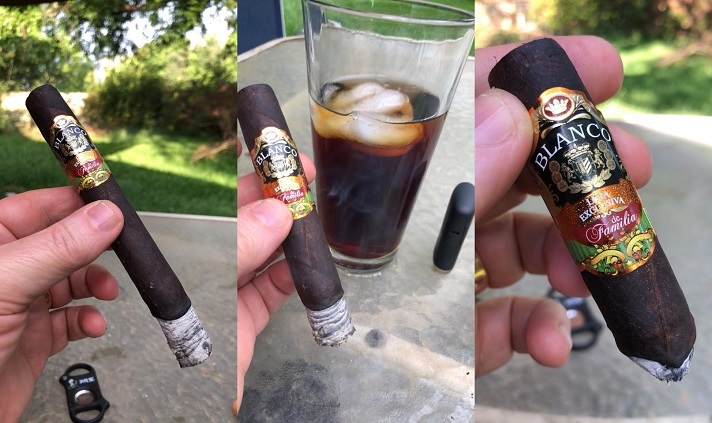 The Cold Brew coffee proves a perfect pairing for this medium to full-bodied cigar. The first third comes across as almost all earthy, with some interesting pepper notes on the palate and in the retro-hale. The burn is now very even, and the ash is solid even though it falls at about the one and one third inch mark. During the second third, some cedar notes join the flavor profile. The smoke is very smooth and pleasant. The burn remains even, and the ash remains solid. 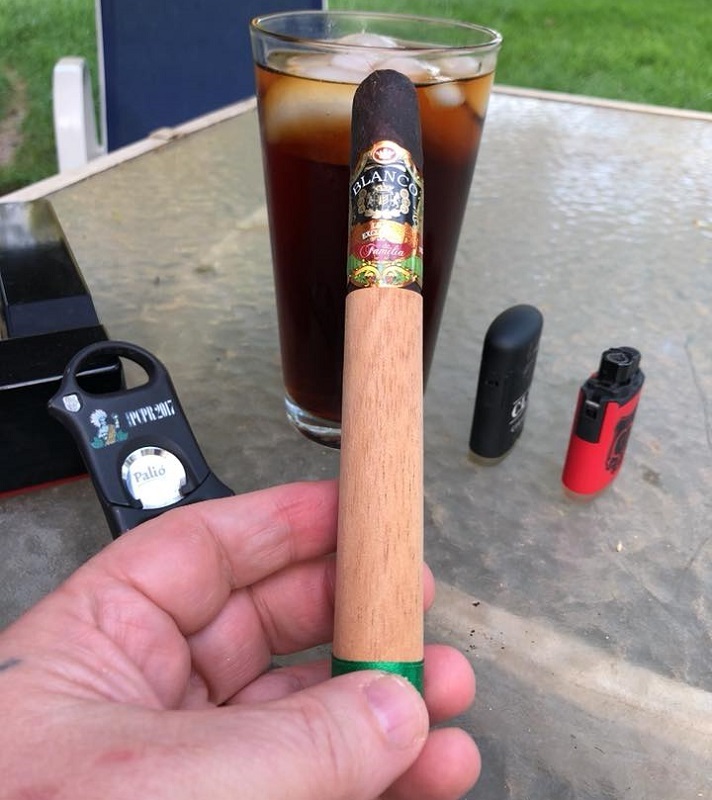 This is an excellent cigar.